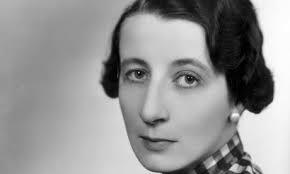 Josephine Tey has, at various times, been described as the "fifth queen of detection" after Christie, Marsh, Allingham and Sayers; in fact, she has been described as being in various ways better than most of the four. Jennifer Morag Henderson repeatedly makes the claim for her that she somehow bridges the space between Christie's emphasis on plotting and Chandler's interest in characters and environment. It is hard to agree with that judgement: it underestimates Christie whose work was a great deal more interesting than just a series of mechanical plots and puts Tey into a category she does not belong to, that is the tough guy Chandleresque thriller writer. To be fair to Ms Henderson, she is not the first to voice that opinion but it is wrong, whoever says it. There can be no possible parallel between Inspector Alan Grant or any other of Tey's detectives and, say, Philip Marlowe, though it is true that Tey's books are more concerned with characters than plots, some of which are a little weak. 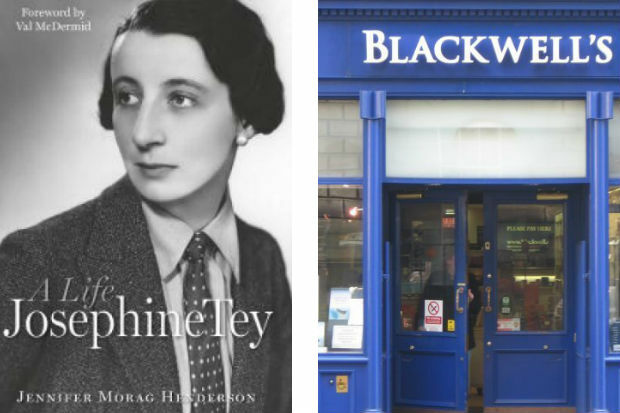 The new biography is fascinating, not least in that it destroys the myth of the very private Josephine Tey. In a way, the myth was always just that. After all, how many times can people insist that readers of Tey's better known books have no idea that she was also Gordon Daviot, a highly successful playwright and moderately successful novelist between the wars and during World War II when every single edition of, say The Franchise Affair or The Daughter of Time (the two most popular ones) mentions this fact? In The Daughter of Time there is even a reference to Daviot's best known play, Richard of Bordeaux. It turns out that Beth Mackintosh who, according to her great friend Caroline Ramsden, used the different names with different friends, had a number of them and kept in touch with such people as Dodie Smith, John Gielgud, Gwen Ffrangcon-Davies, James Bridie as well as her sisters and at least one friend from Anstey College where she had trained to be a PE teacher. The letters are available in various collections as are notes Beth Mckintosh made and correspondence between her and her publishers and agents. Ms Henderson seems to have tracked down every piece of evidence about her subject wherever it happens to have been, collated it all and made a fascinating story out of it. Anyone who is interested in Josephine Tey, in life in Scotland in the thirties and forties and the world of English and Scottish theatre should read this book. They will not regret it - there is so much material there. On the other hand, one must admit that there are also problems with it. Firstly, the style is clunky and full of unnecessary modern jargon. Tey herself was a brilliant and witty stylist and it is a pity that her biographer cannot come even close to it. Secondly, there is a great deal of padding and repetition - trite comments about the First World War, repeated assurances that Tey was a complex personality and kept her family and her friends apart, pages on the growth of Scottish nationalism with which she had nothing to do - all this is unnecessary when the real story is so interesting. Finally, those mysteries. Ms Henderson found out that Gordon Daviot was busy during the Second World War, writing short stories and short plays that were broadcast by the BBC, something, as she rightly and indignantly points out, the Corporation should not have lost track of. There is also the curious fact of the third nom-de-plume, F. Craigie Howie, used only once for a play, Cornelia, produced by the Glasgow Citizens' Theatre soon after the war. Apparently only two people knew the real identity of the author, Beth Mackintosh herself and James Bridie and neither revealed it so how it became known is not clear. The link with Hollywood is spurious and consists of a single event when Gordon Daviot, a then successful dramatist, was asked to produce a script for a film. She did not go to Hollywood but wrote the script at home; it was then sent off and re-written several times by other authors as was the custom. She was not credited though the most recent list on IMDB does give the name of Josephine Tey as one of the contributors. By no stretch of the imagination can this be called experiencing Hollywood. Finally, those young men she is supposed to have romances with and who are supposed to have a great influence on her. Some of this comes from Catherine Aird who relies on vague reminiscences by one Beth Mackintosh's sisters. Ms Henderson discusses the likelihood of some kind of an affair with a young Scottish officer, Gordon Barber, supposedly the source of the name in Gordon Daviot, who was killed at the Somme and who had kept a diary, which does not mention Beth, and comes to no conclusions. It might have been him she remembered and mourned, it might have been another young officer, Alfred Trevanion Powell or it might have been someone completely different. One cannot help wondering whether it might not have been merely an idealized young man. The supposed brief post war affair with Hugh Patrick Fraser McIntosh who died of TB in 1927 is presented as a fact with no supporting evidence at all, beyond the fact that Josephine Tey used the name Patrick in several books and quoted one of McIntosh's poems in To Love and Be Wise. Well, maybe. The book is given to presenting a number of "would have beens" and "might have beens" and "probablys" as facts and that is irritating in the extreme. There really is no need for any of that. The book is based on detailed and meticulous research and presents a fascinating portrait of a very good and many-faceted writer who will no longer be hidden by rather spurious mythology. For all of that we must thank Jennifer Morag Henderson. Tey was a competent second-rank mystery novelist whose work pales into insignificance beside Christie's. On the other hand the same could be said of Marsh and Allingham, and even Sayers (despite her misguided literary ambitions). There was only one Queen of Crime. Rex Stout, in an early 1970's interview in Holiday magazine stated that Josephine Tey was his favorite mystery writer. At her best, she is second only to him.